With the buzz I continue to see and hear surrounding Twitter, social networks, Internet sourcing (blogs, articles, etc.) and such, it’s easy to look at resumes as dull, outdated, or at least “uncool” when it comes to sourcing and recruiting. I fear there are many people who get blinded by the “shiny object” factor of each and every “next new thing” that will supposedly revolutionize staffing, leading them to overlook the significant and tangible advantages that resumes have over other sources of talent identification information. The limitations inherent with using Twitter, blogs, Internet articles, LinkedIn profiles and similar sources for talent identification is that they are what I classify as “shallow” sources of candidate information. In most cases, they contain very little information regarding critical candidate variables such as skills and responsibilities, quantity and quality of experience, career history and accomplishments, education, precise location, etc. Many shallow sources of candidate information simply do not provide ANY information regarding some of these details. With little or no information to go on, it is extremely difficult to search for and identify candidates who have a high probability of at least meeting the minimum requirements for your opening, let alone exceeding them. Sniffing out and following candidate leads based on shallow information comes with the territory of being a Sourcer or Recruiter, and the thrill of the hunt can be quite satisfying. However, it can be an incredibly slow and time consuming process, as well as result in a significantly low return on time invested. I refer to this as “low yield” sourcing, and its cause is the shallow depth of information available – which cripples your ability to control or even identify critical candidate variables. Searching for talent using shallow information sources is intrinsically limited in that with less information available, the less effective text-based search is. And if it’s simply not there, you can’t find it, let alone interpret it. 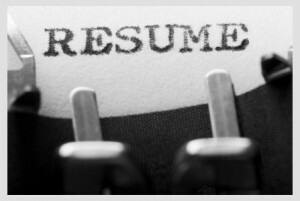 In contrast, while certainly not perfect representations of people, resumes do tend to provide what I refer to as “deep” information. This typically includes a work history including career progression, skills and experience (at least to some extent – some resumes are certainly more detailed than others), environment/group/division/project information, education, and precise location. In many cases, resumes contain information detailing specific responsibilities and responsibility level, as well as accomplishments and achievements. Being able to search for and control these critical candidate variables enables “high yield” sourcing – a high volume of more accurately and appropriately matched results in less time. In the hands of an adept Talent Miner, a resume database that supports full Boolean queries (and ideally extended Boolean) can yield a high volume of results with a high percentage of candidates who have specific skills and experience, specific responsibilities, specific years of experience, specific environmental/project experience, and who live in a specific area. More information enables more effective searching – if it’s there, you can find it and interpret it. I am certainly not saying that you can’t find great candidates using shallow information sources, nor am I advising that you should not use them. However, I am painfully aware that many staffing professionals and organizations have a tendency to be blinded by (or at least distracted by) every shiny new recruiting tool, source, or method – wanting to believe they will magically help them fill their human capital needs so much better than the “old” ways. Being interested in new sourcing and recruiting methods is a good thing – but it should not be at the cost of forsaking or underestimating more “traditional” methods such as resume database recruiting, which offers significant sourcing advantages. Especially when there are a shocking number of staffing professionals who aren’t even capable of fully exploiting their own internal resume database, let alone a job board database. See this post on Hidden Talent Pools. You can run to your shiny new objects – but the first place I’ll head to is my dull old resume databases – and find large quantities of more precisely qualified candidates in less time. This article is part of the Boolean Black Belt archives. You can view the original article here.